To mark World Oceans Day on 8 June, Corona constructed a sculpture of a crashing wave from plastic collected in the UK. 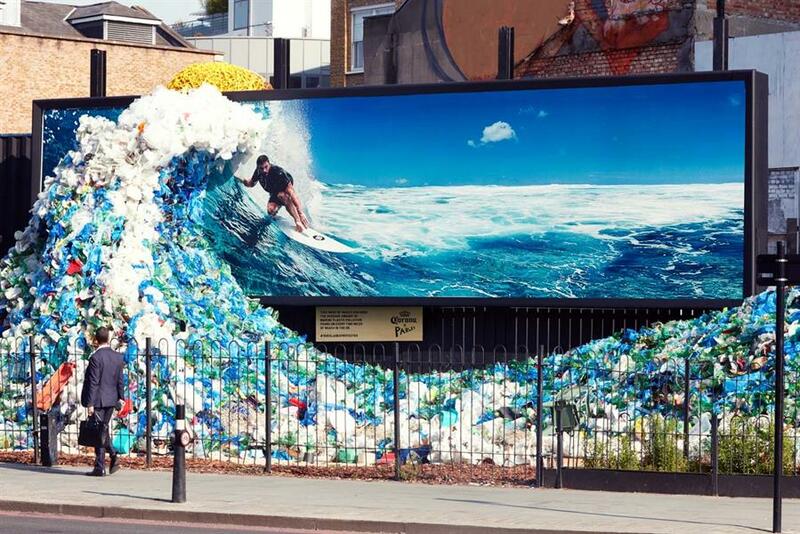 The installation, designed by artist Andy Billett, depicts Chris Hemsworth surfing the wave of waste. In the run up to World Oceans Day, members of the public were invited to contribute to it by dropping off their own plastic waste at the site. Corona constructed similar sculptures in Melbourne, Santiago, Bogota, Santo Domingo and Lima.